According to a recent announcement by Microsoft next week will see the start of a Forza Motorsport 5 bundle with the Xbox One. The limited time bundle includes a digital copy of the game with the console for $499.99, although this is exclusive to the US at the moment. The Forza 5 digital Xbox One bundle will be available from next week in US stores, but we suggest you check price and availability with your local retailer. Details of this can be seen on the Major Nelson website, as this highlights only select retailers in the US, but the limited time aspect could be just enough to prompt more gamers into making that transition over to the next-gen system. 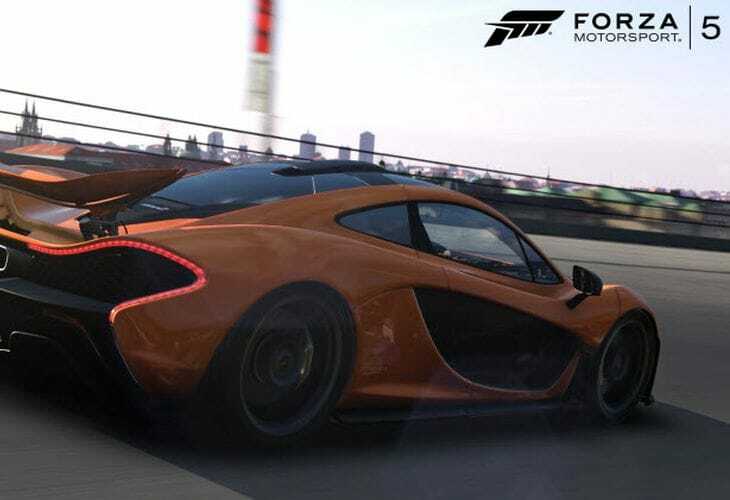 Regarded as one of the best-looking and most realistic racing games to date Forza Motorsport 5 has been highly complemented by critics and consumers, and many Xbox One fans have welcomed this as the best-selling racing game by console attach for years. This is the ideal opportunity for gamers to embrace the recently released racing title and in a recent post we highlighted Xbox One Games with Gold Vs PS4 PS Plus showdown. This informed gamers of Microsoft offering two free games each month with the Gold subscription coming soon. We highlighted comments from Microsoft’s Phil Spencer regarding the ongoing promotion of the Xbox One and mentioned how Xbox 360 users can get hold of two free games per month with their Gold subscription. Unlike the PS Plus, gamers subscribing to Gold will be able to hang on to their titles even once their subscription expires. This brings us to the part where we looked at what free games will be offered and we cannot see big titles like Forza 5 or Dead Rising 3 being included here, although we are impressed with the option to keep the free games regardless of whether you expire on your subscription or not. Returning to the original topic, were you waiting for a bundle deal for the Xbox One that would include Forza 5?